PRAYER FOR SUCCESS: Father, Oh what a great day it is! This day is chocked-full of nothing but success! Every minute has success written on it. Every encounter is successful! Every project is successful! Every meeting is successful! Every phone call is successful! Every text message is successful! Every tweet is successful! Every posting is successful! I am rejoicing in this day because You created it for my success. Oh what a great day it is because I am successful in everything that I do! Amen. We Won! We Won! Quit Choking Me! You see this was just the first win for that season. It was only the beginning of a laborious arduous task to victory. They still had to play 81 more games in order to win the big prize–the NBA Championship. Magic was a rookie. He was a new kid in the game. He had made it to the NBA and for all intense purposes for him to win that first game was like winning it all. His ultimate dream had come true–to play in the NBA. In that instance, Kareem placed another dream inside of him–to win the NBA Championship. Regardless if you have the best record in the NBA for that season, if you don’t walk away with the ultimate prize, the Championship, you have just had a great season but you were not the greatest. You have to be so careful when you achieve only a piece of your dream that you are not so excited you don’t execute for the ultimate win. You must be able to settle down, make an accurate assessment of the situation and act accordingly. It is fine to celebrate the win, but don’t become so absorbed in the celebration that you lose sight of the prize. In your premature celebration, you can exhaust all of your energy and don’t have enough to go out and play to win the second, third, fourth, fifth…game. It is no different in whatever we do in life, until you have achieved the ultimate victory you can’t allow yourself to celebrate to the fullest. Yes, it is healthy to celebrate the milestones along the way. Take a short segue, celebrate and get right back into your game. That means knowing that you have to set your mindset accordingly to win it all. Along the way there are going to be some setbacks, but if you are doing what it takes you will win. That means that you have to establish a regimented schedule that prepares you for every win. It means that you have to do your due diligence and make sure there are no obstacles or distractions that prevent you from focusing on your game. I want to make sure you win every time. Sign up for a free coaching consultation at The ME Place. PRAYER FOR SUCCESS: Father, I need You to reveal to me the things that have kept me from succeeding. I am no longer afraid to confront them. In confronting them, I overcome them. I overcome daily by the blood of the Lamb and the words of my testimony. Acknowledgement of these obstacles enables me to overcome them. They no longer master me, but I master them. I am an over comer! I am a conqueror! I am a winner! Amen. PRAYER FOR SUCCESS: Father, You have made a way of escape for me. As you strengthen me each day with supernatural endurance, I will mount up with wings as an eagle for flight. I will run this race and I will not be weary in well doing; I will walk and I will not faint. I will never give up! I will never cave in! I will never stop because I am relentless to achieve all You envisioned for me. I am a formidable force anointed with Your supernatural strength to endure as I reach the high mark of Your call to unparalleled success. Amen. PRAYER FOR SUCCESS: Father, I have traveled around this mountain long enough. I am getting off of this treadmill where I have been going nowhere fast. I run this race with one intention and that is to be successful. Success is an inherent part of who You created me to be. The only way I can do that is by just doing the things I may not want to do every day. Wow! I am on a new path. It has some speed bumps, but I am unstoppable and I will succeed. Amen. PRAYER FOR SUCCESS: Father, How in the world do I expect to succeed and I won’t take time to plan. I may not like it, but it is critical to be successful. No longer will fear prevent me from doing it. Procrastination does not have any place in my life. It no longer conquers me, but I conquer it. I am more than a conqueror because I maximize every minute of every day and that begins with planning. I am a planner, therefore I am winner. Amen. 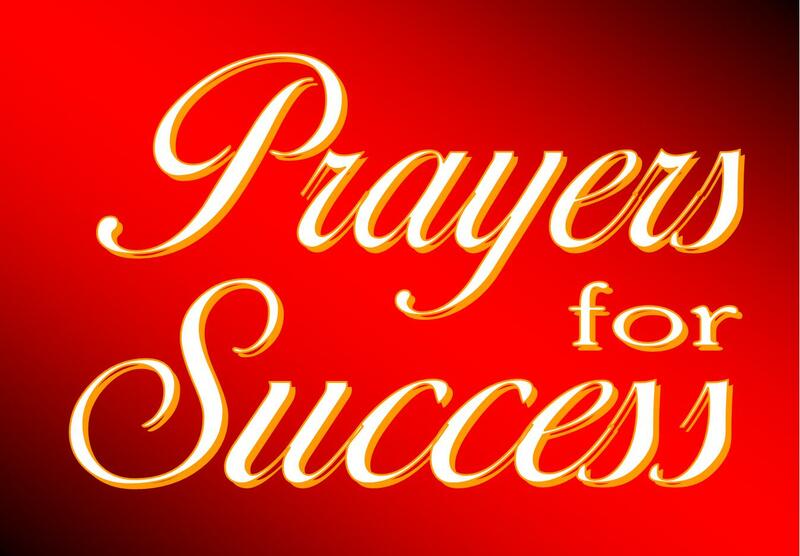 PRAYER FOR SUCCESS: Father, The vision You have given me propels me to be successful at everything I do. I am running full-speed ahead with the vision. I have written and shared the vision. Your favor on the vision is the catalyst that enables others to not just embrace the vision but to run with it. Nothing can stop the vision’s success because You are the Forerunner placing favor in the hearts of every philanthropist, customer, client, and funder to ensure we have the revenue and resources needed for the vision to succeed. Amen. Mr Fox, Mr. Fox! What Time Is It? Many of us live our lives that same way. We wait idly for the right time to move and oftentimes we are waiting on someone to tell us when to move. We proceed through life with no set agenda, but allow the vicissitudes of life to lead and guide us. Before we know it, most of our time on this earth is almost over. Yet we still don’t feel as though we have come even close to achieving all God created us to be. We pray and ask God to order our steps and teach us to number our days that we can apply our hearts to wisdom; yet we find ourselves moving towards the dusk of our lives not quite knowing what we are to do and who were we created to be. Like those who got close to Mr. Fox, once he turned around and bellowed out, “It’s midnight,” they were devoured. That is what happens. The enemy is devouring you from reaching your destiny and fulfilling your purpose here on earth. When he turns around you run away or you get caught up in his web of deception whispering what you can and cannot do. Unfortunately you believe it. 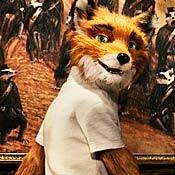 One thing for sure, Mr. Fox is only going to be turned away from you for a little while. You have to anticipate the moment when he decides to turn around with the intent of capturing and devouring you. At that moment, if you have not reached him first you have to high tail it out of his way. You may not have had a lot of control over how you started out in life, but you do have control over how you finish. “It’s Midnight!” Will you finish as a winner, someone who runs away or someone who is captured in the enemy’s snare? Father, I know that You have created me for a purpose. Regardless of what season of life I might be in right now, I am playing to win. I will not allow myself to be taken off my game through deception, but I will relentless proceed with actionable steps that leads me to finish the game as a winner. Amen. PRAYER FOR SUCCESS: Father, I am no longer going to allow my past to prevent me for forging forward. There is a reason why it is called past because it has passed. I will only take from it what is beneficial and everything else I will forget and press towards the high mark of Your call. That means that I have my sights set on winning. I am not in a race of futility, but I am in this race to win every time! Amen.